If you are a man who is planning to add ink to your body, yet still unsure of what direction to go for design wise, you might want to read this article. 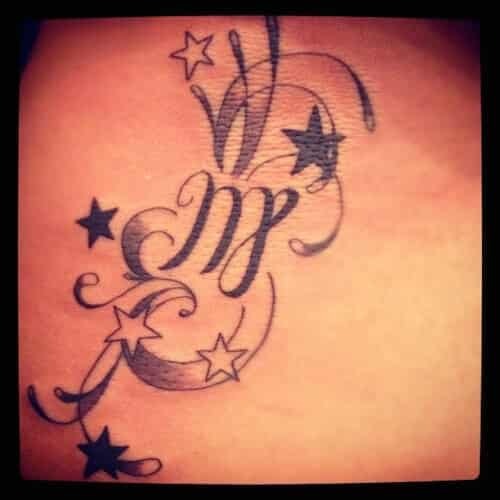 We will discuss about the popular virgo tattoos and the meaning that lies behind it. First of all we can ask the question, why are Virgo tattoos for men so popular amongst? The simple answer to that question is that it just looks good and often masculine on the male body despite its origin, and if you believe in astronomic science of zodiac signs, it will describe you as a kind but strong person. However, for it to look good, the end result has to be a well designed and precisely executed piece of body art. It will be, as long as you choose an experienced tattoo artist to do the job, and we can only recommend that you do so. Being cheap about your tattoo can easily become a regret you have to carry for the rest of your life. The Virgo sign is said to originate from Astraea, the ancient Greek goddess of innocence and purity. The traits that are said to be possessed by people born under the Virgo sign, somewhat matches Astraea’s personal traits. Here we find a personality described as being observant, practical, analytical and caring for other peoples well being. Most people would agree that all these traits are positive so it shouldn’t be too much of a question why people would not mind having a “label” like this one. However, another trait that is also commonly known to be within the personality of the Virgo, and that is introversity or at least just the aversion of too much attention. This is not necessarily a bad thing at all and it usually only leads people to be humble. According to the belief, Virgo’s are also strong and responsible people who do not leave anything up to chance but instead up to their own self. This is one of the reasons why this is one of the most recognizable zodiac signs of them all which also helps explain the popularity behind it. 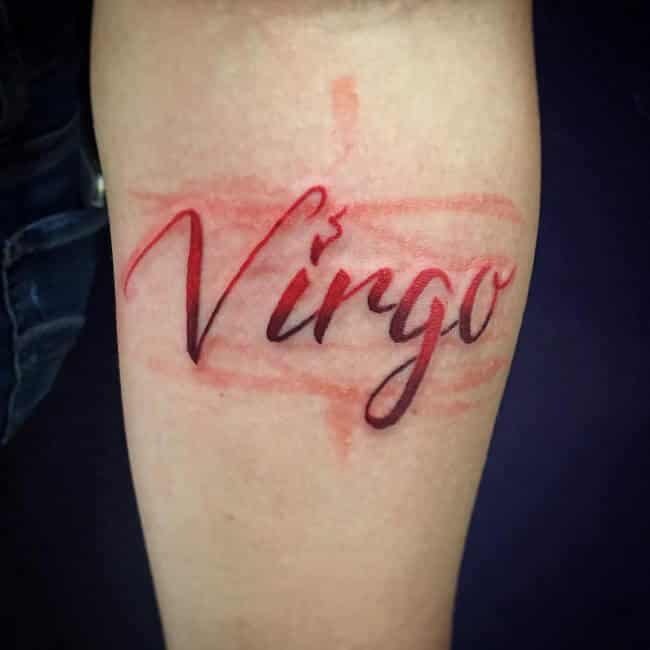 In general it is a common thing to see people with tattoos representing their zodiac signs, but amongst these we dare to say that it is the Virgo that stands out the most for both men and women. Men bearing this sign are not looked upon as being less of a man due to this, instead it is a symbol of kind heartedness, bravery and responsibility and none of that should ever be frowned upon by anyone. There is no wonder why the Virgo sign has gained its popularity amongst people to wear on their bodies. Especially men as well in the recent years, as our current society no longer sees any weakness behind an act like this. 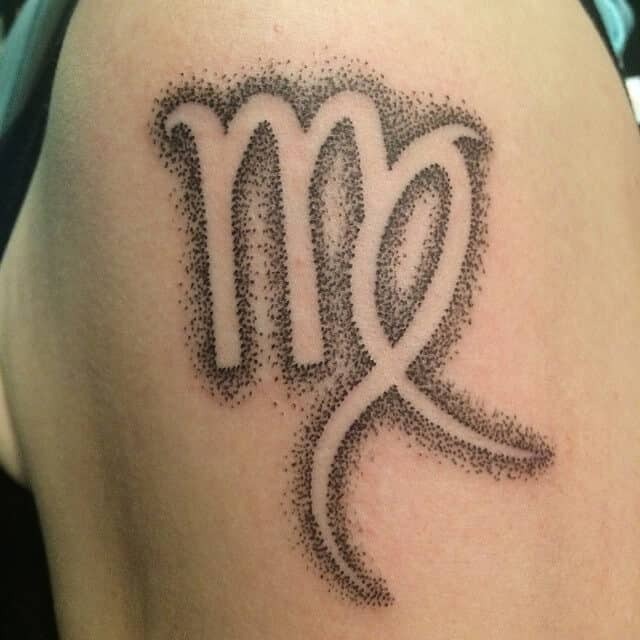 If you are looking to get a tattoo, getting your zodiac sign blended with a design or frame could be a good choice as it both has great visual opportunities as well as describing a bit about yourself which makes the ink so much more personal than it already is. If you just so happen to be a Virgo yourself there is all the more reason to consider getting a zodiac tattoo. The Virgo sign is badass and for many men it could make for a great addition to the body. 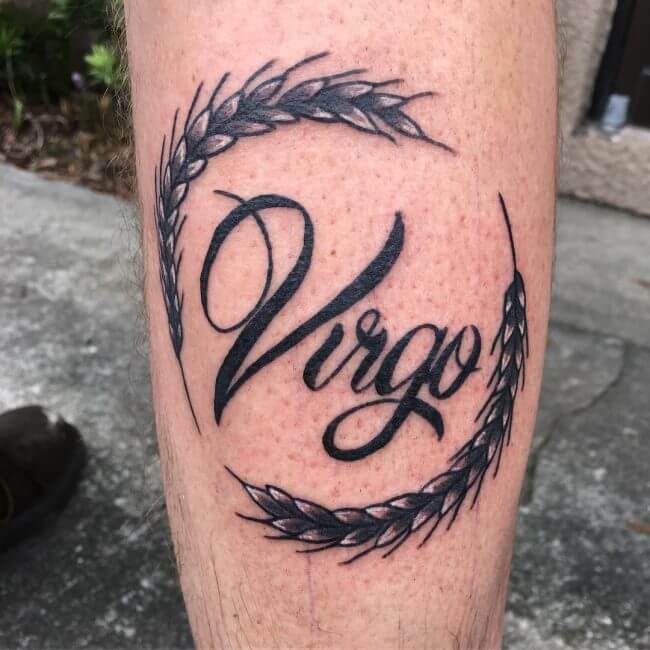 If you want a classy Virgo tattoo that features a specific symbolism and artistry level, this is one idea you might want to consider. 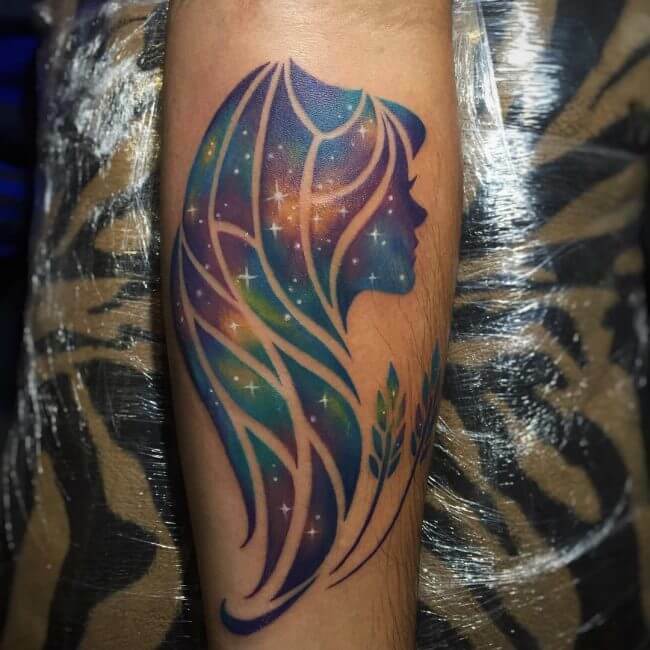 The tattoo comes with an elegant theme, with some stars around it to mimic the galaxy. Uniqueness and simplicity are two factors that can attract people’s attention. 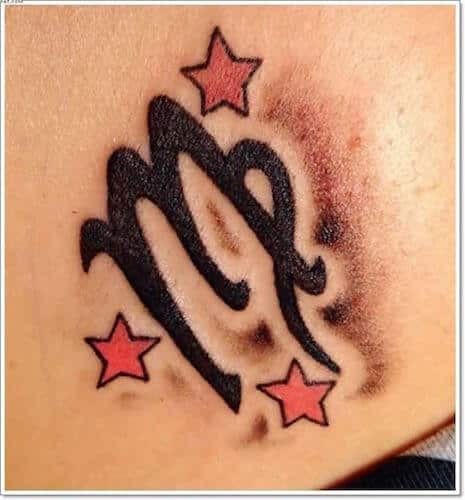 That is why this tattoo makes it among the top Virgo design tattoos. It features the Virgo symbol with a king’s crown. The tattoo could be holding some superiority and dominion significance. 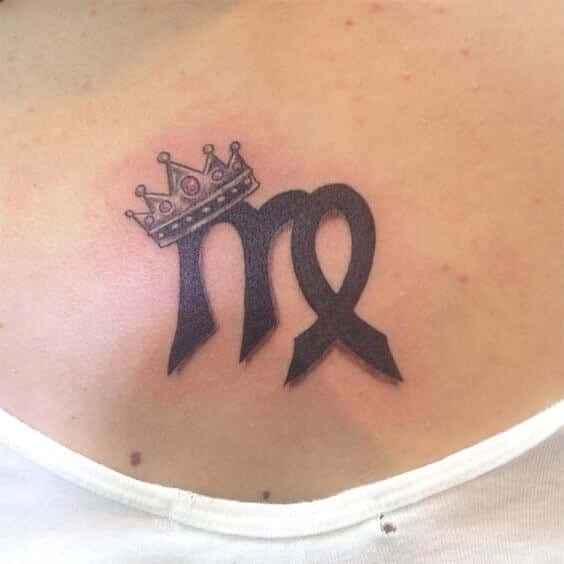 At first glance, you may not notice if this is a Virgo tattoo design. The tattoo features the typical Virgo symbol, along with the zodiac constellation and arrows on opposite sides. Most probably, the tattoo could be carrying a hidden meaning. 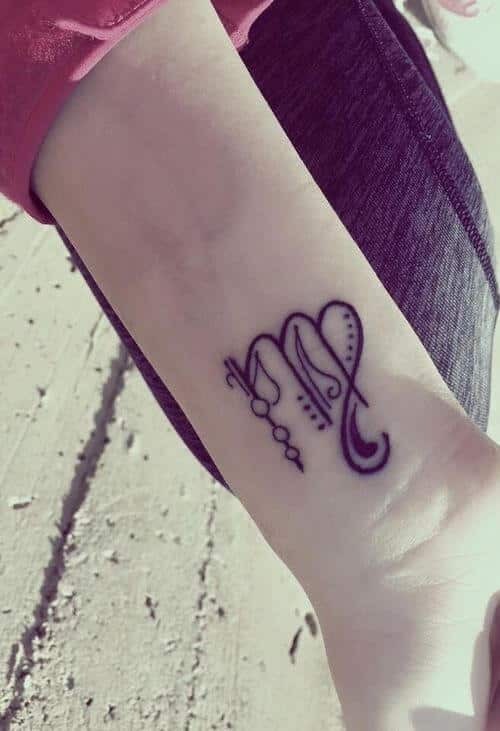 This tattoo comes with the Virgo symbol, along with the virgin. There are two letter Ds on each side of the Virgin, which could be symbolic. The tattoo also features some recognizable level of 3D effects with a basic color blend. This one has been applied with some simplicity, which somehow looks girlish. Probably the wearer was dedicating the tatt to the girlfriend or something. The tattoo also features some star designs, and the Virgo symbol is placed in the middle. The guy in this tattoo is a fan of art and artistry. 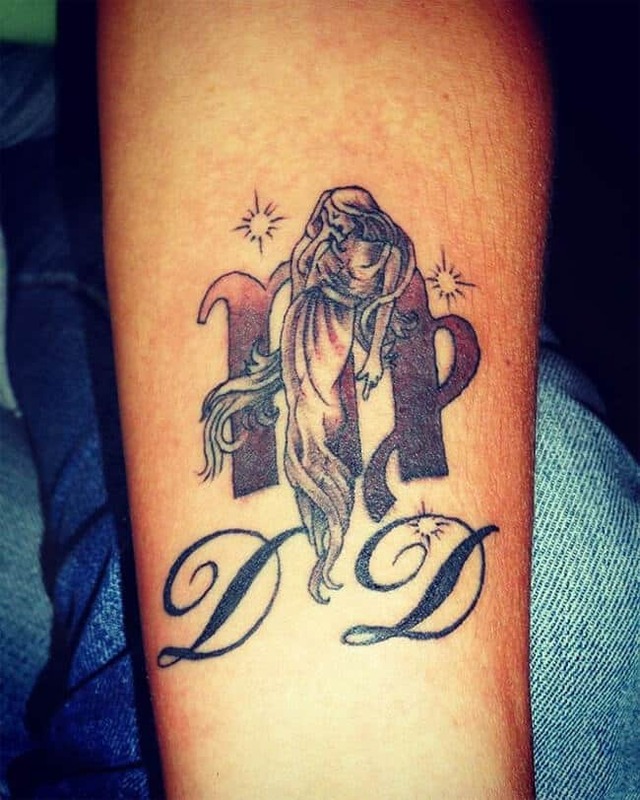 That is why he has applied his tattoo with some sweet touch of art that makes it among the top Virgo tattoos. It looks like a template was placed over the skin, and a black paint sprayed all along to form the shape. This is yet another idea of a cool tattoo for a Virgo guy that wants a simple and classy tattoo. The black and pink colors blend perfectly to give the tattoo a super elegant look. Maybe the tattoo has a meaning, or the guy simply enjoys having it. The guy in this photo displays his wrist tattoo, which features a classy Virgo symbol. The tattoo has been applied with a single color, but the design is super amazing. It is one of the Virgo tattoo ideas that is simple enough for a guy. 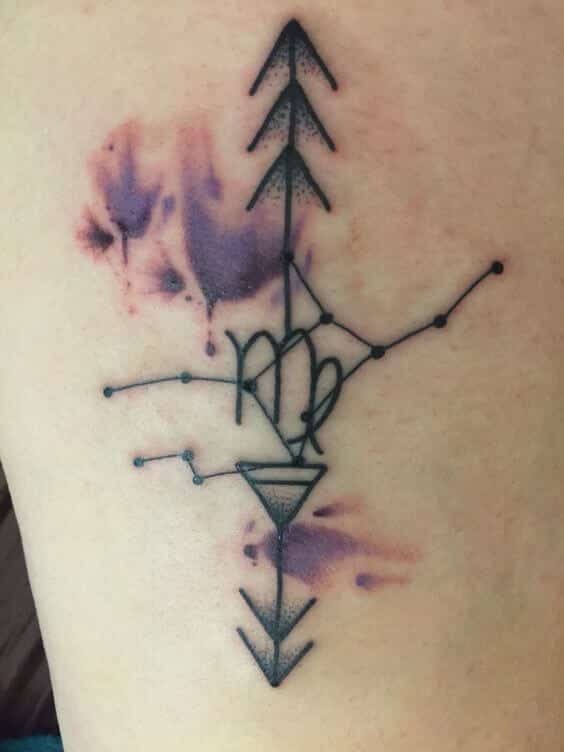 You don’t even have to ask the meaning behind this tattoo. It comes with the name VIRGO applied with some calligraphy and deep red color. The tattoo also features some glowing effect that makes it stand out. It is definitely one of its kind. Nobody would fail to notice this elegantly applied tattoo. The tattoo also features the name VIRGO, and it isn’t only applied with some calligraphy, but it features the peace leaves around it too. This could be symbolic in a specific way.